Facebook's communications and public policy chief used an annual meeting in Munich of some of Europe and Silicon Valley's tech elite to apologize for failing to do more, earlier, to fight hate speech and foreign influence campaigns on Facebook. "We have to demonstrate we can bring people together and build stronger communities," the executive, Elliot Schrage, said of the world's biggest information-sharing platform, which has more than 2 billion monthly users. 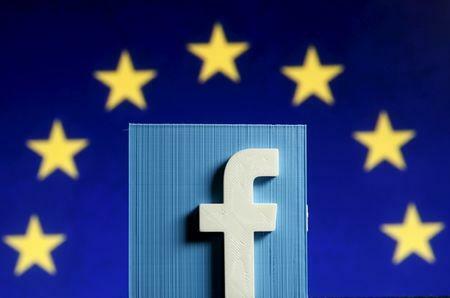 In the United States, lawmakers have criticized Facebook for failing to stop Russian operatives using its platform to meddle in the 2016 presidential elections, while Britain's parliament is looking again at the role such manipulation may have played in Britain's Brexit vote to leave the European Union. "It sets forth the right idea for the relation between government and the private sector but it also goes farther than ... we think it should go," Schrage said of the law. "At the same time the law places the responsibility on us to be judge and jury and enforcer determining what is legally compliant and not. I think that is a bad idea. "The challenge is how to define where the violation has been or not," he said. "That’s an example of how we can work with governments to be more responsive to their concerns," Schrage said of the EU. Far from being a "Wild West of content", Schrage argued, Facebook's policies on policing content are far more in line with Europe's strict boundaries governing hate speech than the anything-goes reputation it has coming from Silicon Valley. "We are often criticised for being an American company. But our policies with respect to speech and expression are much closer to how the standards have evolved in Europe than they are in the United States," Schrage said. "We do not permit hate speech, we do not permit incitement. There is a tremendous amount of content we remove regularly. When we see content related to terrorism, to hate speech, to incitement, we reach out to law enforcement," he said. "From my perspective, Facebook is a media company. One way or the other, Facebook should accept it," Kallen said of taking more control over content or facing regulatory demands to do so. Facebook founder and chief executive Mark Zuckerberg, who has declared earlier this year that his 2018 goal is to "fix" Facebook, is staying home (http://reut.rs/2F2w8g6).